Hi all, hope y'all are doing good and enjoying the summer heat ( or winter cold depending where you are! ) here's the weekly recap and update for the second week of July! I also reached out and got sent Phoenix Point's current backer build. As I was late to the party with this, I wanted to make my content stand out more somehow, so I drew from the similarities to XCOM to ask "What's the difference between the two" by creating a video focusing on that, instead of a more generic "Phoenix Point Preview". This resulted in my video: "5 Phoenix Point Features NOT in XCOM" - These types of videos are a bit more "clickbaity" or at least sensational than I prefer to do, but I feel the content within stays true to my analytical style of commentary and reporting. Following that, I've been studying my analytics more, asking why certain videos do well and certain don't. It's a hard process to figure out, but I tried some experimentation with it in my latest video "7 Confirmed Features in Imperator: Rome - Dev Diary 1-7" and that seems to be doing well. I didn't want just a static screen while I talk about screenshots, from diaries, so I also spent a bit of extra time playing around in After Effects and learning some new things which allowed me to better bring to life the screenshots from the developer diaries by moving a camera around them in 3D space. I think it looks cool, and I've got it down pretty good now so I can make them quite quickly. It was a lot of fun figuring out and learning new techniques too, been a while since I've done that. So those were the videos for the week, I also streamed 37 hours in the last 10 days! Streams have had great numbers and I've got to play with JackieFish and LegendOfTW in different games and host my Stellaris MP Game which has been a blast (it's my favourite thing to stream by far). These streams can all be caught on my twitch channel, and some of the best ones make it to the past broadcast playlist on my YouTube too. I'm planning on covering some of the updates to Total War: ROME II and I've gotten some access to games I've been meaning to cover while also queuing them up for while I'm away. 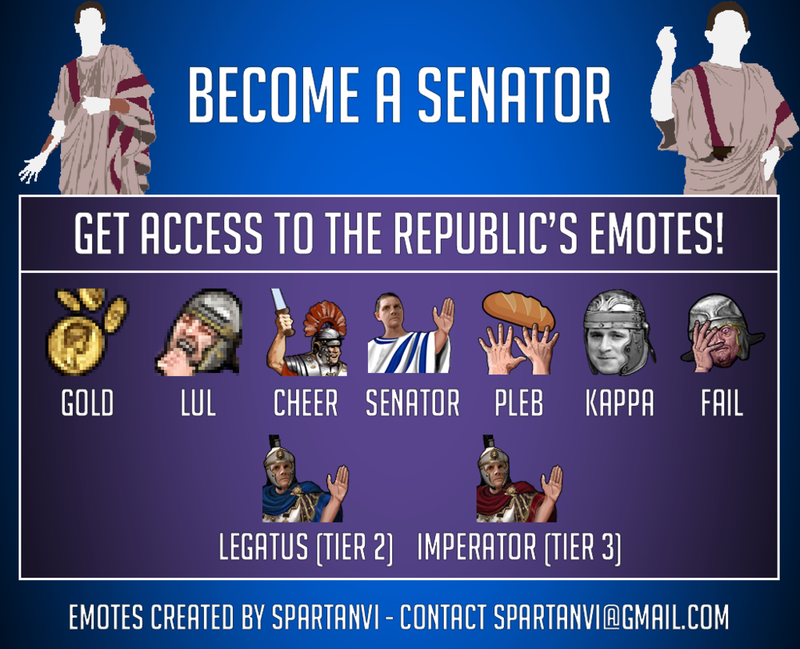 Lastly we also got a bunch of new emotes on our Twitch channel by SpartanVI - I'm loving them and love seeing them being used! Let me know if you've any feedback or thoughts about the content/direction of the channel!